University campuses have the potential to act as living laboratories, bringing research findings into practice to explore and embody healthier, more sustainable ways of life. They are also a garden for culturing new ideas, practices, and technologies, and shape the perspectives, attitudes, and behaviours of the next generation. Thus, universities are critical for the development of a healthy and sustainable society. However, universities are not exempt from the challenges that society faces: limited funding, competing priorities, institutional inertia, and more. To lead in the implementation of sustainability and health requires universities to look beyond technical solutions and consider the complexities of the systems and place that constitute the university campus. 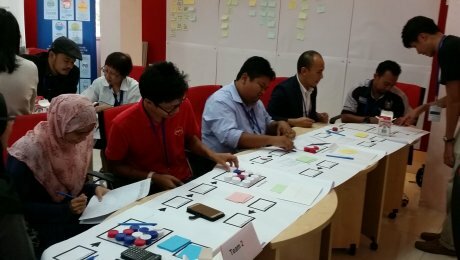 The “Systems Thinking and Place-Based Methods for Healthier Malaysian Cities” (SCHEMA) project is led by the United Nations University International Institute for Global Health (UNU-IIGH) and Cardiff University’s Sustainable Places Research Institute (CU-PLACE). Funded by the Newton-Ungku Omar Fund, and co-sponsored by the British Council and the Malaysian Industry-Government Group for High Technology (MiGHT), the SCHEMA project aims to improve decision-making for urban health and sustainability by catalysing the application of systems thinking and place-based methods to complex urban problems. 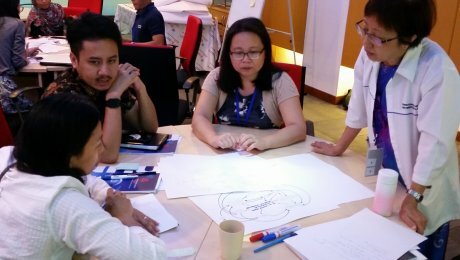 The Office of the Deputy Vice Chancellor (Development) of the University of Malaya commissioned and sponsored a SCHEMA workshop using transdisciplinary approaches to campus sustainability and health. The workshop brought together 28 participants and observers, representing Estates and Student Affairs staff, Sustainability Science Research Cluster researchers, administrators, and programme officers, Public Health researchers, and off-campus partners. 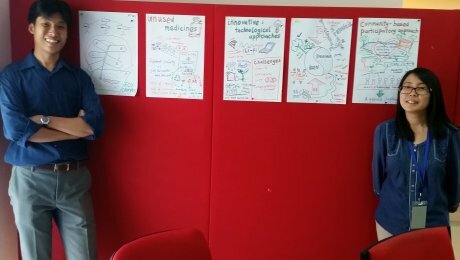 Key workshop themes were linkages between sustainability and health, impacts beyond the campus, and how organisational structures and rules can advance or hinder sustainability efforts. The workshop served as a platform for these participants, who learnt new skills, shared knowledge, identified needs, and discovered intersections that enable partnerships that cross the researcher-practitioner divide. The workshop programme was led by UNU-IIGH, with support from the Rimba Project at University of Malaya.